Global Pet Expo is on Snapchat! #NoFilter is a thing of the past – at least at this year’s Show. As the digital landscape changes, so do we! In fact, we pride ourselves on staying abreast of the new and emerging communication channels so we can meet all of our attendees (that’s you!) on the platforms you like to use. So, this year we partnered with Snapchat to bring you the below geofilter to help spruce up your tiny pieces of art from the premier industry event. Global Pet Expo 2015 Was a Record Setting Year! More! More! More! Global Pet Expo saw more buyers in attendance, more exhibitors and more booths sold than years past as well as more attendees and more new product launches than ever before! This year’s total attendance came in at a staggering 15,500 people including 6,061 qualified buyers! Over 1,050 exhibitors brought concept to completion when they took over 3,113 booths and built some seriously impressive exhibits to share their record-breaking 3,000 new pet product launches! And to make for a truly global, Global Pet Expo, 20% of exhibitors and 29% of buyers this year were from countries outside the United States, a clear indication that our show is a key trading opportunity for companies around the world! More than 230 members of the press…From trade magazines and bloggers to national media outlets like The Huffington Post, CNN, The Chicago Tribune and the popular TV series, Shark Tank: Beyond the Tank, we welcomed some impressive media to this year’s show. Fans took to Twitter roughly 4,000 times using the official show hashtag, #GlobalPetExpo to talk about what’s new and what’s hot on the Show floor. 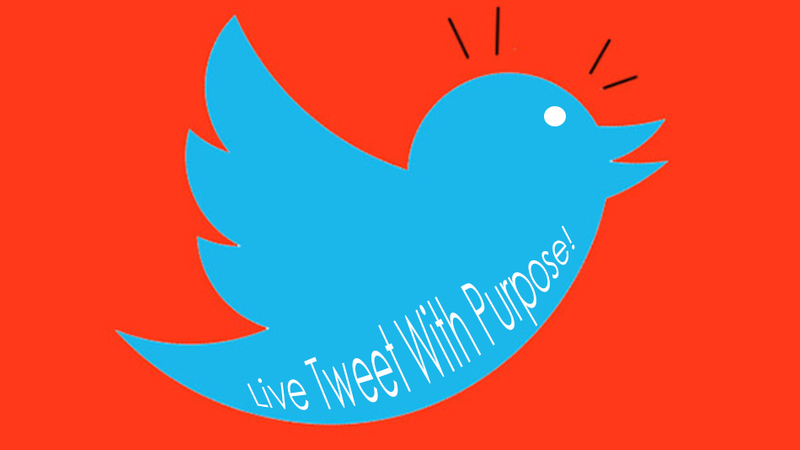 These tweets generated more than 18.9 million impressions and reached more than 6.2 million people. 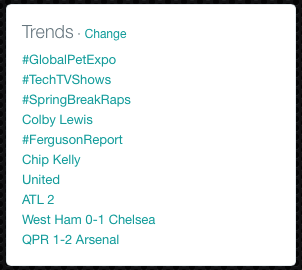 All of this social interaction sent #GlobalPetExpo soaring to the top of Twitter’s most tweeted, earning a spot in the ‘trending topics’ for yet another year. For the first time, Global Pet Expo 2015 offered free pre-registration for its Global Pet Expo Academy, resulting in record-setting attendance to its expanded lineup of 29 seminars throughout the three-day Show. It’s possible that the attendees had the energy to make their way to the seminars thanks to the Global Pet Expo Express, a free trolley that carried attendees from one side of the floor to the other – another successful first for the Show. If there is one thing we don’t want to get lost in all of these numbers, it is that we couldn’t have done it without YOU! Thanks to all 15,500 of you who attended the pet industry’s largest annual trade show. We can’t wait to see you next year, March 16-18, 2016! You’ve designed your booth, printed press materials and buyer handouts, packed and shipped booth materials, and you’ve finally made it to the event. Now its time to meet new people, expand your network, and get your brand out there! To help connect with others and draw attention to your products and booth, Tweeting from the Show is a simple and easy option. Brush up on a few quick tips to help steer your Tweeting in the right direction throughout the three-day Show! The official Show hashtag is #GlobalPetExpo and when incorporated into your Tweets, they will automatically be displayed on monitors throughout the show floor and convention center. As obvious as it might sound, including your booth number in Tweets will help guide buyers and media to your booth and products. Prior to the Show, do a little research and compile applicable buyer and media Twitter handles (handles are their account profile names) so you can follow and @ mention them with ease at the Show. We’ve even compiled a media list on our Global Pet Expo twitter page to help make it easier on who to reach out to. Show attendees are not turning to our Twitter monitors to see how you are enjoying that cappuccino (although, we certainly hope you are). They want to see intriguing content, and they want to know where they can find it. Showcase your products, people or your booth as a whole to make those 140 characters count. The great thing about social media is that conversations can be a two-way street in real time. So, join the conversation. Talk to those who are actively engaging with you, answer questions and respond to comments in a timely manner. While social engagements are great, nothing beats a meet and greet. Invite attendees to your booth to showcase and demo your products in-person and create lasting contacts. Don’t forget your booth number! Don’t just simply share content for yourself. If another show attendee has something great to say, favorite or re-tweet the information and increase your social and online presence. Our Twitter monitors will be displaying tweets using the official #GlobalPetExpo hashtag all three days The more people who contribute, the less time a tweet will remain visible on the screen. Make sure you tweet consistently all three days to remain seen and heard! Continue the conversation outside the walls of the Twittosphere. Ask your followers to come by your booth and chat, meet up on a break or schedule a post-show conversation. Not everyone will have time to stop by your booth. Make the most of your social media engagements by keeping track of the names and Twitter handles of those you connect with during the show and follow up with them post-Show! We look forward to seeing you at the Show and across our Twitter monitors soon! And, don’t forget to stay up-to-date on Global Pet Expo news and follow us at @GlobalPetExpo! Global Pet Expo is a Winner! Hollywood isn’t the only one buzzing with awards lately. We have a few of our own to tout….luckily, we didn’t have to fast before accepting these ones! Global Pet Expo is a WINNER!!! We’re pleased to announce Global Pet Expo was recently honored by the International Association of Exhibitors & Events (IAEE) and took home two awards from the organization’s annual Art of the Show Competition. Additionally, Global Pet Expo also received the Grand Award for Best Use of Social Media by Trade Show Executive, a leading trade industry magazine. Honored within the “over 150,000 net square feet” category, Global Pet Expo was awarded for Exhibit Sales Brochure & Prospectus and Sponsorship Development Program by IAEE. The Art of the Show Competition recognizes excellence in promotional materials for the exhibitions and events industry and includes 15 different categories of competition spanning three show sizes. Our year-round marketing plays a key role in the success of Global Pet Expo and we are honored to receive such acknowledgment from the leading association for the exhibition industry. Taking home Trade Show Executive’s Grand Award for Best Use of Social Media, Global Pet Expo was honored for results from its 2013 Show, demonstrating the key role social media plays in the Show’s success. Pre-show communication as well as onsite, real-time social media engagement has helped connect with attendees in such a way that it enhances their Show experience. Contributing to success, the Global Pet Expo YouTube channel grew 58% from the previous year as thousands tuned in daily to stay up-to-date on Show news, #globalpetexpo was one of the top trending stories on Twitter throughout the Show week, and Global Pet Expo’s Twitter encouraged buyers, exhibitors and media to join the conversation and generated 13.5 million impressions. We look forward to connecting with you at the 2015 Show and hope to see you there! For more information on IAEE, visit www.iaee.com.